Originally posted on Half an Hour, May 17, 2010. Responses to questions sent by email from Universia Peru, a web portal launching soon oriented to the university community. > Must all teachers follow edupunk trends? It would help if the question were more precise about what you think are ‘edupunk trends’. For one thing, a lot of what falls under the description of ‘edupunk’ is not a trend, or even trendy, at all. For another, edupunk has been represented in various quarters as meaning everything from do-it-yourself to anti-authoritarianism. Having said that, I don’t think ‘all teachers’ (or ‘all’ anyone) should forllow anything. Each person has his or her own approach to things. Many teachers can do quite well foir themselves (if not their students) by continuing in the same way they always have. Many people, both teachers and students, are comfortable in authority-based memory-learning. It’s not my mission to change them; people should do what they want, and if they want to obey, well that’s fine. > Do you think University and teachers will be engaged with expanded education idea? I think this will be different for different types of institutions. Traditional elite institutions are very unlikely to change. They have over the decades devised a formula that serves themselves and their clients very well. Their purpose, perhaps even more importantly than education, is to create and support a relatively closed network of movers and shakers who will become the next generation’s political and corporate elite. They do not need to change, they do not want to change, and their position is such that even the president elected on the platform of ‘Change’ is from one of them. Publicly funded institutions are in a different situation. They will increasingly face pressure to increase enrollments (or, at least, graduations) while cutting costs. This means, one way or another, online educations (though Tony Bates would point out accurately that those institutions who don’t have a clear idea what they’re doing will not actually save any money). This means they are going to have to embrace new models of teaching and learning. For colleges and trade institutions the pressures will be even greater. Traditionally the option for lower class and poorer students, they will face increasing pressure to enable students to reduce costs by staying in the workforce. The trend toward prior learning recognition stems from these institutions, as does co-op and apprenticeship placements. They can probably more than any other institution take advantage of new technologies to help students learn informally while in the workplace. > Which students' skills should be stimulated by teachers nowadays? I have written about that in my paper ‘Things You Really Need to Learn’. Not surprisingly, this does not involve the learning of any particular set of facts or foundational domain of knowledge. Most of what I think students should develop are attitudes and ways of seeing the world. The principle, ‘being able to predict the future’, for example, isn’t about the observation of data and then the application of some forward-looking principle to that data. Yes, we could describe it as such, but this is only in retrospect, as a rationalization or possible a partial explanation for what a person has actually done. What is more important is simply to get into the habit of predicting the future at all, by whatever method. Ironically, this is what was so valuable about astrology or even the I Ching. It wasn’t so much that they were viable methods of forecasting the future; if they were, we wouldn’t have economists. Rather, what these disciplines force people to do is to anticipate consequences of some sort, whatever they may be. The mere act of thinking about consequences results in better predictions after a time, because we cannot help but learn from successive projections and then experience of results. Similarly, it is worth reading the Autobiography of Benjamin Franklin. It is not so much the particular habits of mind that he trained himself in, as the fact that he trained himself in some habits of mind. Developing yourself purposefully is in itself the way to develop the skills you need in the world. Even if you start from faulty premises, if you apply yourself to practice in the world, and reflection upon that practice, you will gradually, over time, develop appropriate capacities. 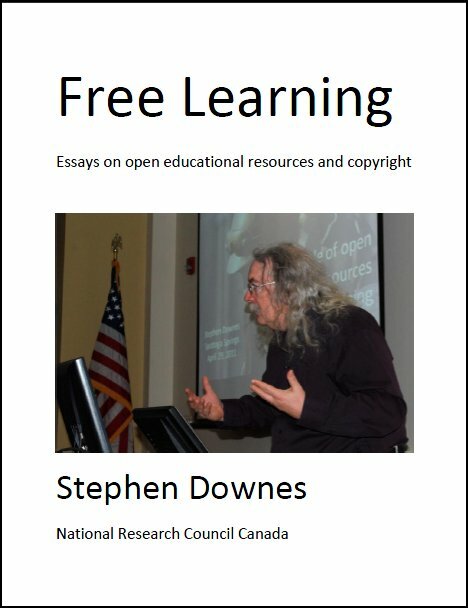 > Have universities lost knowledge monopoly? The longer answer is that it is not clear to me that they ever had it, despite occasional pretensions through history that they did. When the academics were the church fathers, there was always the countervailing influence of secular authority, which had its own way of understanding the world, and its own, more earthly, forms of knowledge, characterized most appropriately in the Bible as ‘the census’ and the coin, ‘that which belongs to Caesar’. When the academics were independent scholars, they had the church fathers, on the one hand, and separate merchants and leaders of commerce, on the other hand, offering their own alternative perspective on the world. When the academics were the Scholastics, they had the new rivals of science and mathematics, characterized in the revolutionary outbursts of people like Descartes, Galileo, and Gutenberg. This cleave between rhetoric – which has produced the disciplines of business, entertainment, politics and law – and scientist continues to this day. When, in post-war society, it appeared as the scientists and the manager could inhabit one and the same body, that there would be a single military-academic-industrial complex, counter-culture and post-modernist though emerges almost immediately, as a necessary counterbalance, as it becomes clear almost as soon as the utopian society is created that it is dysfunctional. At each stage of history, a little bit more ownership of knowledge was detached from the centralizing authority, and into the hands of the people, appearing first as the monarchy, then as the mercantile, then as the scientific, and finally as the corporate. Today, we are entering a new, fifth period of detachment, creating a new, as yet undetermined, duality against the existing central order, a duality created by what various authors have tried to characterize as the network, the community or the crowd. Last Updated: Aug 20, 2018 7:57 p.m.